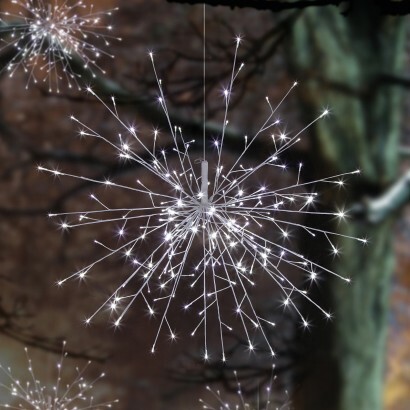 Make an impact with a beautiful fairy lit ball of twinkling white LEDs for stunning statement lighting. 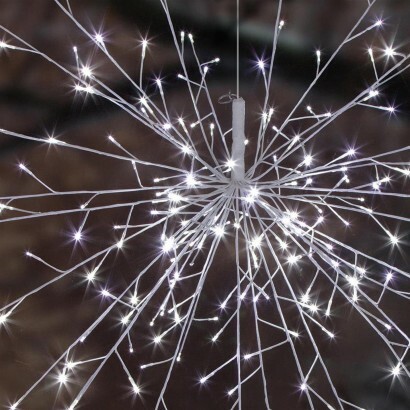 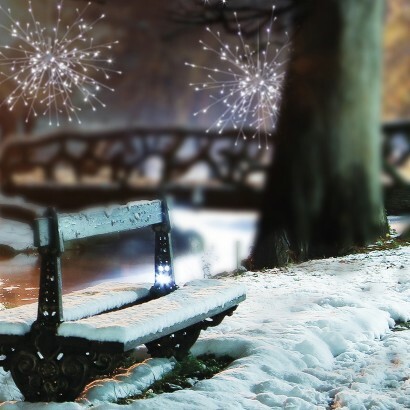 With a huge 1.2m diameter, this extra large Sparkle Ball light is lit with 144 static white LEDs and 72 twinkling white LEDs along poseable arms to resemble a huge explosion of white light, or even a super sized snowflake! 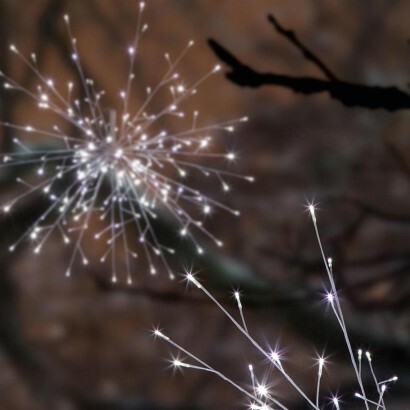 Mains operated, this stylish light can be used indoors or outdoors (with a protected socket) and has 10m cable to make placement and hanging easy adding drama and sparkle to your home or garden.